The property consists of a 1950s bungalow that has been extended haphazardly over the years. Our clients wanted to make sense of the property and create a contemporary family home. 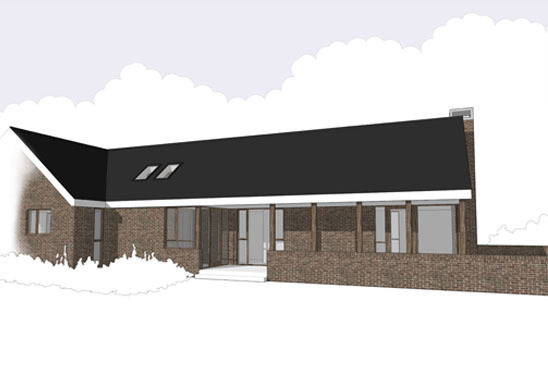 The existing bungalow is reconfigured to form formal living accommodation to the ground floor with a master bedroom suite to the first floor with the addition of dormers to the front. To the rear, the house is extended long the line of the 1980s addition with additional bedrooms and a large light filled day room that opens up to the vast rear garden.